On the Titanium website there is a Quickstart tutorial for creating simple book management app. The app uses a local SQLite database for storing the books. In our tutorial we’ll show you how little there is to do to change the storage from the SQLite database to using the ApiOmat backend. 1. Download the completed project from the Titanium guide. It’s also available on Appcelerator’s github page. 2. Start the Titanium IDE and import the existing project. Read the guide if you want. You should be able to run the example app. 1. Sign Up or log in with your existing account here to start using Backend as a Service. 2. Now enter a unique name for your application e.g. “YourNameBookManager”. Since we plan to give developers the opportunity to share projects, application names in the system must be unique. You do not need any of the predefined modules in this tutorial. 3. Create a new module by going to the Module Market and clicking on "New Module" in the submenu. Choose a name and description and click "CREATE". 4. Go to the „Class Editor“- Tab to create a class in our backend. You will be asked for a class name after entering the tab. Name the first class "Book". Scroll down to the attributes and add a String “title” and a String “author”. 5. Deploy your backend by clicking the “Deploy”-Button. 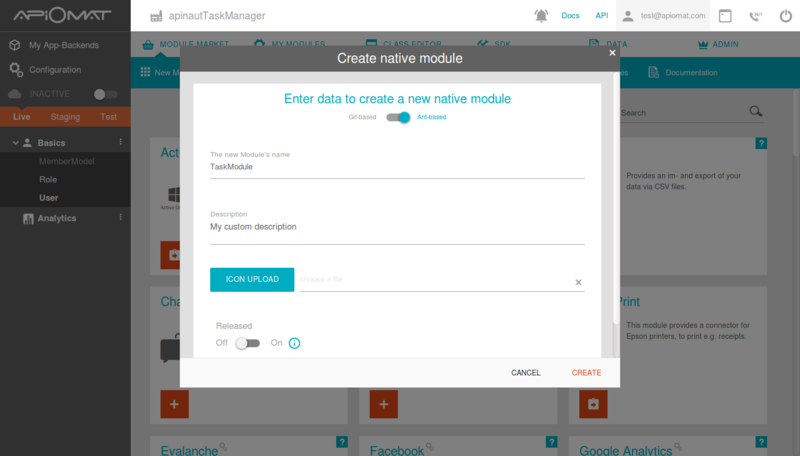 Your backend is now live and ready to be used with the SDK or REST API. 6. Go to the SDK Tab and download the Titanium library by clicking the "Download SDK" button. You will get a zip file with your generated classes and all necessary libraries. 1. Open the Titanium project that you created at the beginning. 2. Unzip the downloaded library and copy only the apiomat.js (found under com/apiomat) to the folder /app/lib (create the lib folder if it doesn’t exist). This way you can access the central collection by working with references in the controllers. You could also create the collection in a controller. This is necessary because we’re not working with Alloy collections that need a syncing adapter (like the SQL or local storage adapter). 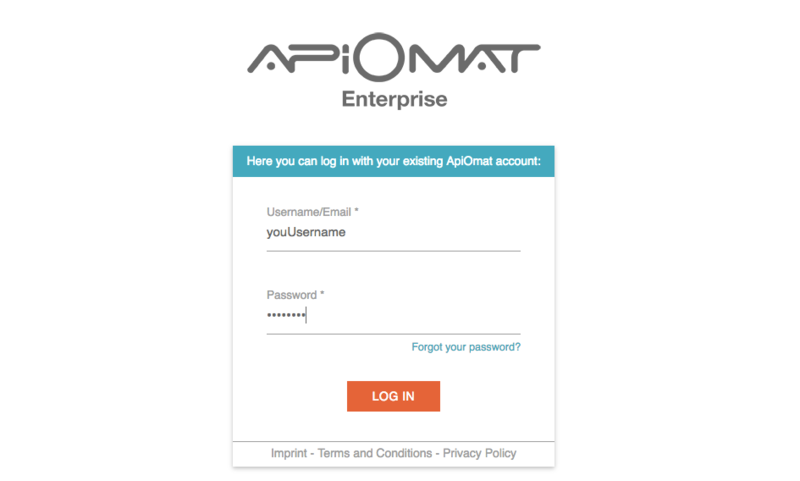 Instead, we load and save our data using the ApiOmat library, as explained in the following steps. Replace “user” and “pw” with your credentials. Here you can see how the apiomat.js library is accessed with the Apiomat variable that was declared in the alloy.js. You can also see how a login attempt is accomplished at the start, and if that fails, a new user gets created. // filter if you want to. Like "Apiomat.Book.getBooks('author=="Author Newman"', ..."
Notice that this is where you can filter the results by adding a query string. Also notice that the change event gets triggered, so the GUI updates with the freshly filled collection. Congratulations. Your Backend and your connection are working now. Check it out by running the app in an emulator or on a device. After adding some books, you can see the data in the ApiOmat Dashboard by going to the data tab. The finished project is available on our github page. To get it working you only need to set up the backend, copy the SDK into the project (/app/lib) and use your account credentials. All as explained above.